Your seat adjustment will either be manual, electric or a mixture of the two. 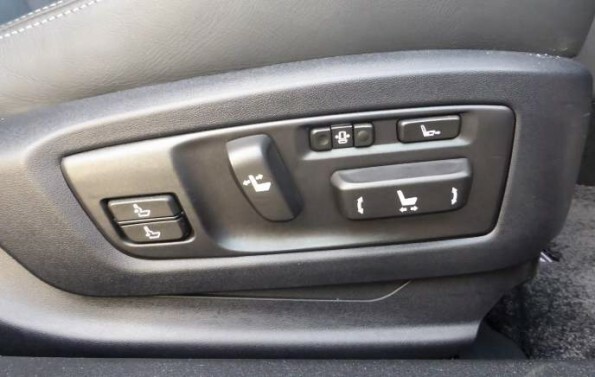 The release lever for moving the seat forwards and backwards will either be a bar at the front of the seat which you pull up, or a small handle on the left or right at the front of the seat. Adjusting the seat pitch (i.e. how much it leans forwards or backwards) will either be a lever where the seat back joins the seat base, or a rotating dial. 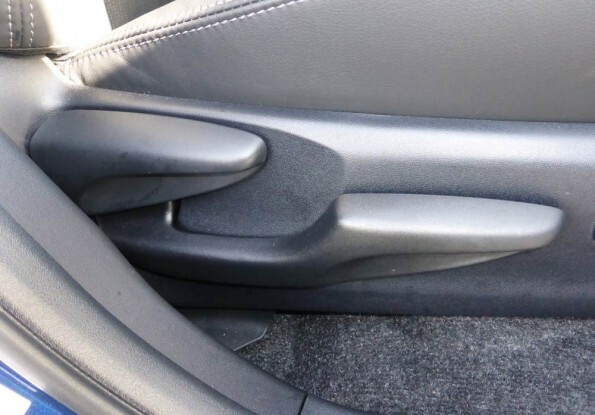 In the image below the handle on the left adjusts seat pitch while the larger handle on the right adjusts seat height. This is the bar at the front of the front seats which allows you to slide it forwards or backwards. A rocker switch to extend the seat squab’s length. Sit back in the seat and hold your arms out straight. Now rest them on the top of the steering wheel. Your wrists should touch the top of the steering wheel. This means that when you hold the wheel at quarter-to-three, i.e. your hands grasp the sides of the wheel, your arms will be slightly bent. You don’t want them straight because you have less control, and you don’t want them too bend otherwise you’ll be too close to the wheel. You should be able to push the accelerator and clutch (if you have one) all the way down while remaining seated. Now check your knees: when you go for the brake your knee should not hit the steering wheel. If it does, move the steering wheel higher, or if your car doesn’t have that feature, move the seat back a notch or two further and then make the back of the seat more upright. For steering wheels where you can adjust the distance from you (‘reach’) as well as the height (‘rake’), you will have more scope to get this perfect. There will be a lever under the steering column, or on the side of it. 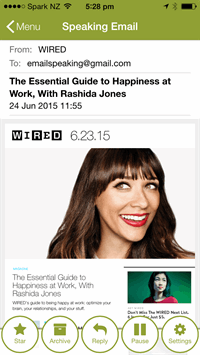 Or, if you have a super flash car, a joystick to control electric steering wheel adjustment. If you have short legs and long arms then you may have to have your seat back slightly more reclined; if you have short arms and long legs you may have to have your seat back quite upright. If you can adjust the height of your seat, first set it in the middle. Setting it too high reduces your visibility through the rear view mirror, while setting it too low decreases your forward visibility and increases the blind spot caused by the A pillar (the front pillar of the car). Adjust the headrest height by pulling the headrest up or pushing it down. You may need to push the little button in on the collar of one of the metal stalks, as shown below. 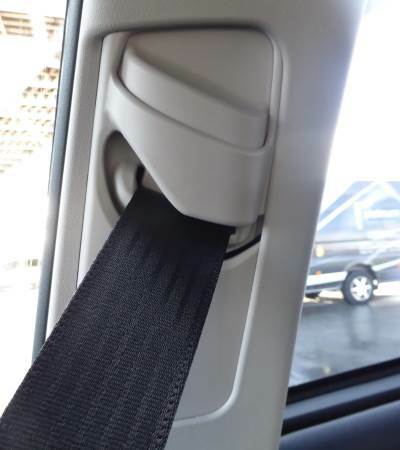 Don’t remove the headrest as it helps prevent neck injuries if someone hits you from behind. Now check the gearstick. This is more important for a manual vehicle than an automatic as you will be changing more frequently. 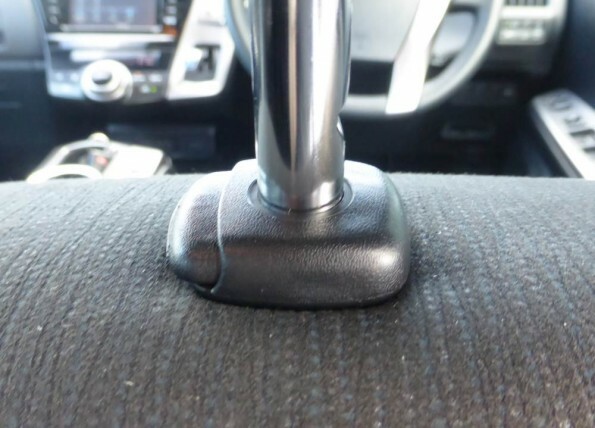 Some automatics, like the Toyota Prius, put the gearstick in a slightly awkward place on the dashboard. 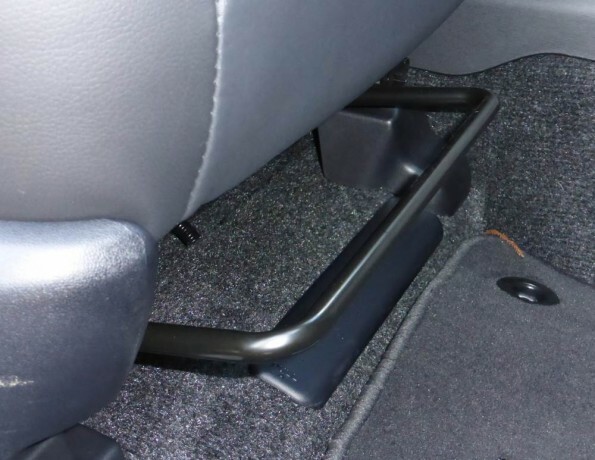 While this frees up space for cupholders, it would be inconvenient if you had to keep changing gear any more than for reversing occasionally. Finally, check that you can see the dials and gauges in the instruments – the speedometer is the critical one to be able to see. 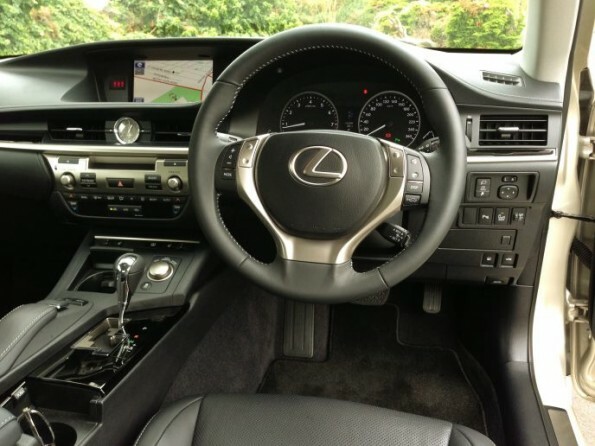 Usually if your steering wheel is too high or low you will obscure some of the instruments. Your final position will be relaxed. Your arms will be slightly bent while holding the steering wheel. Your legs will be bent, but your knees won’t be too near the steering wheel or steering column. You’ll be able to see your wing mirrors and rear view mirror clearly (read this article to show you how to set up your wing mirrors properly). When your arms are straight you don’t have as much leverage and it’s more difficult to make quick turns of the wheel. When you are too close, you are too cramped up against the steering wheel and your elbows will hit your torso or parts of the car. When your arms are straight there is more weight tugging against your grip on the wheel, and you will expend more energy to make the micro movements required to keep the car on the road. Having your seat too far forward makes the blind spot over your shoulders bigger – i.e. you have to turn your head more to see into the blind spot. Having your seat reclined unnecessarily means your eyes are closer to the level of the bottom of the window, reducing your visibility. Putting the seat as far back as is comfortable tends to give the best visibility, although those who are really tall can sometimes find the B pillar (the door pillar) obstructs their view. As mentioned before, having the seat too low increases blind spots and reduces forward visibility, while having it too high reduces your view out of the rear window via the rear-view mirror. You should be at least 25cm from your steering wheel otherwise you risk being injured if the airbag goes off. These injuries can range from burns from the gunpowder igniting through to a broken nose or black eye. If you don’t have an airbag then you should definitely endeavour to keep your face away from the steering wheel. If you are too close and your knees are near the steering wheel, it’s possible that they might hit the steering column in an accident.